ISO 45001:2018 replaces OHSAS 18001:2007 as the globally recognised occupational health and safety management system certification standard. While it is similar to OHSAS 18001, the new ISO 45001 standard adopts the Annex SL top-level framework of all new and revised ISO management system standards. Organisations that are certified to OHSAS 18001:2007 remain valid until the migration deadline of 12 March, 2021. Any remaining certificates based upon OHSAS 18001:2007 will become invalid after that date. SGS Certification and Business Enhancement Executive Vice President, Jeffrey McDonald, sees this latest accreditation as vital for SGS clients. He said: "ISO 45001:2018 is a key driver for any organisation managing occupational health and safety in the workplace. 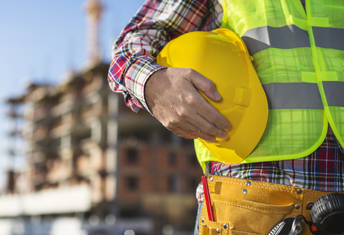 The standard sets out key requirements for managing occupational health and safety and is a tool for facilitating improvement in overall health and safety performance. We are thrilled to be one of the first CBs to receive this accreditation and will continue to support our clients with this new standard." Download SGS’ review of the requirements and changes to the TM 0012 test method.